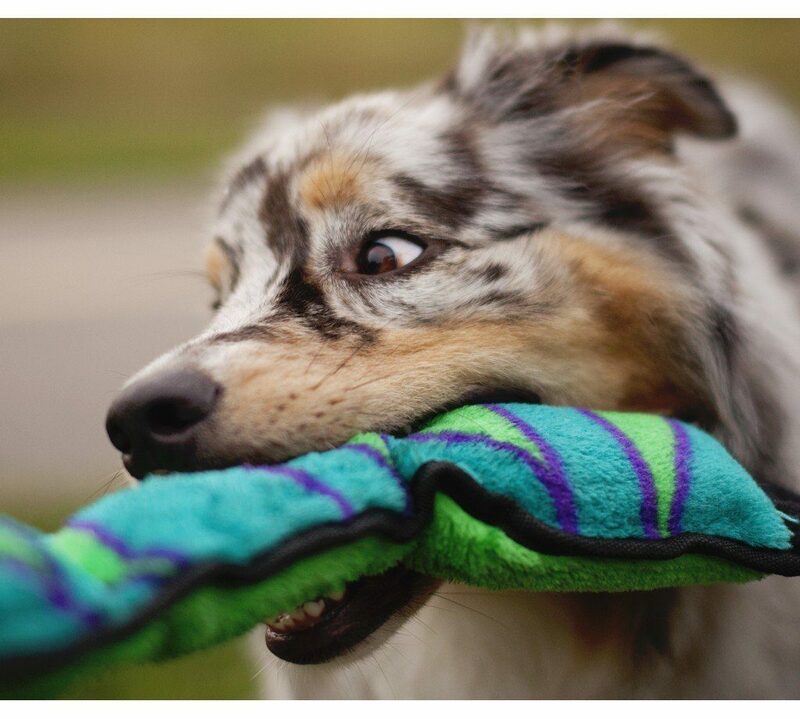 Welcome to our complete guide to indestructible dog toys! 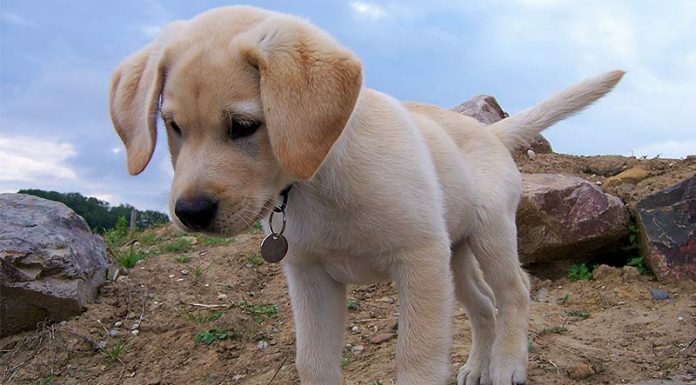 Giving you top tips for choosing the best ones for your enthusiastic pup. 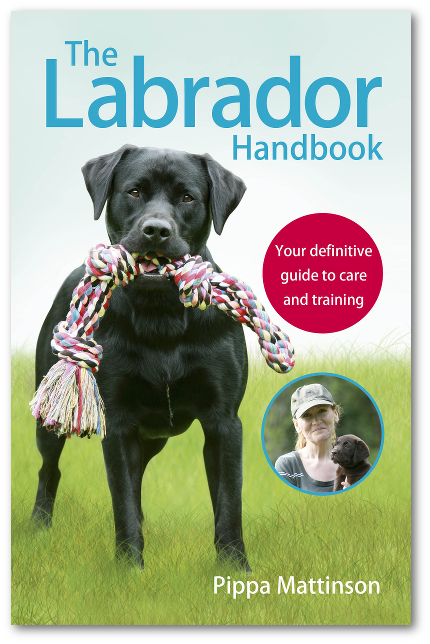 If you’re a Labrador parent, then you may be familiar with their strong tendency to chew on such things as furniture, clothes. Not to mention your prized possessions. Basically, anything they can sink their teeth into. 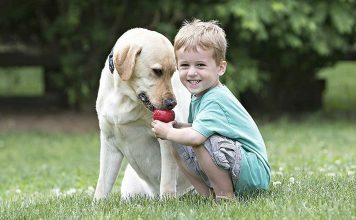 While some Labs grow out of their need to chew, others remain destructive chewers into adulthood. Many owners try to manage this by providing their pup with baskets of dog toys, half of which are destroyed by the end of one play session. Is there such a thing as a dog toy that can withstand a Lab’s rigorous chewing? In fact, there are many “indestructible” dog toys available that are made to hold up to even the roughest Lab’s playtime antics. 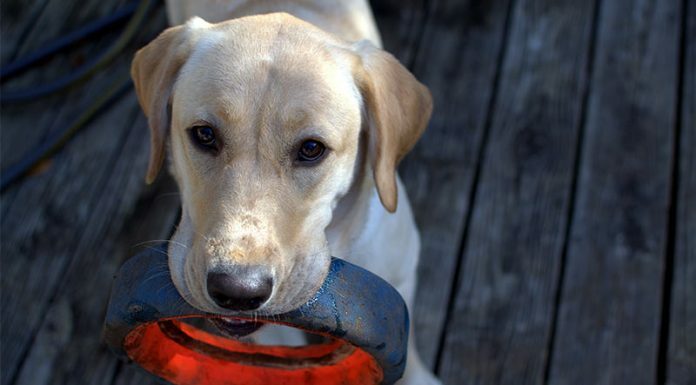 In this article, we’ll find out about what indestructible toys are and why they’re a good option for Labradors. 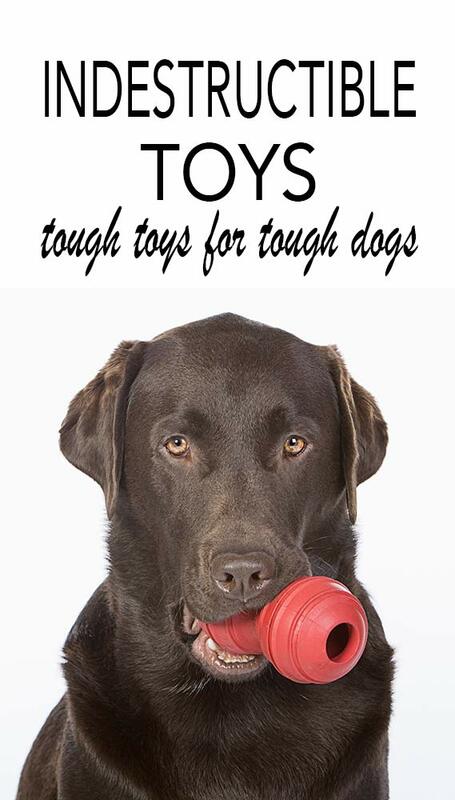 We’ll also discuss some of the best indestructible dog toys, including balls, bones, chew toys, squeaky toys, plush toys, rope toys, Frisbees and stuffable toys. What are “indestructible toys for dogs”? Dog toys, indestructible in nature, are those that won’t come apart as easily as other toys. 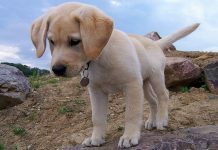 They’re often made of stronger materials, such as durable rubber or poly plastic, and are harder for Labradors to chew through. As we mention in our How to Stop Your Labrador Chewing Things article, Labs are known to be very destructive chewers. Any dog may chew excessively for a variety of reasons. Some common reasons that dogs chew include boredom, as an anxiety outlet, for relaxation/recreation, or out of habit. Since Labs are very intelligent and highly active dogs, if they’re left without something to amuse themselves with, they may find something to get into, like your shoe closet! Retriever breeds may also chew to relax themselves. They just enjoy chewing on things…If you think about it, it makes sense. These dogs have been trained to retrieve things using their mouths. With that being said, you’ll want to provide a Labrador with something that he can safely chew on to satisfy the urge. However, you can’t give a Lab just any toy, as his powerful jaws can quickly shred a soft or poorly assembled toy in just a few minutes! Should your Lab tear up a toy, he may intentionally or accidentally eat all or part the toy. Which could put the dog at risk for choking or developing an intestinal obstruction. For the health of your Lab, we recommend that you purchase indestructible dog toys. 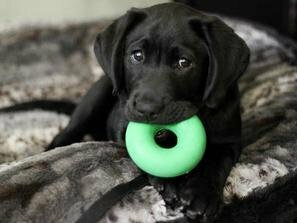 Indestructible dog toys for labs come in the form of balls, bones, ropes, chew toys, squeaky toys, flyers, stuffable, and even plush toys, all of which are made of materials that are meant to withstand a large dog’s aggressive chewing habits. As mentioned earlier, there are several types of indestructible dog toys to choose from. We’ll list some of the best examples of each toy type in the following sections. 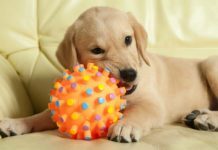 Indestructible dog ball toys are made of an extremely hard material, such as rubber or a plastic blend, that the dog cannot chew through. Many foam-based dog ball toys can be destroyed in a matter of minutes, so it’s best to buy a ball that is impermeable. Balls for dogs, indestructible specifically, may be bouncy, heavy, or stuffable. Some of them may help to clean your dog’s teeth as they play. 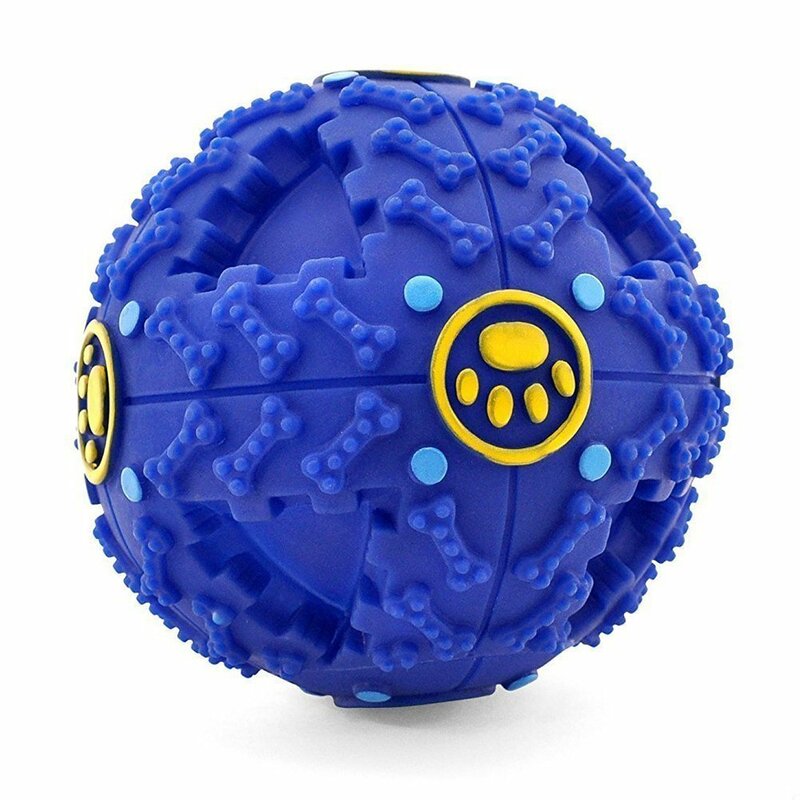 Here are a few of our top picks for indestructible ball toys that are available on Amazon. Rocco & Roxie Supply Company Dog Toy Ball. 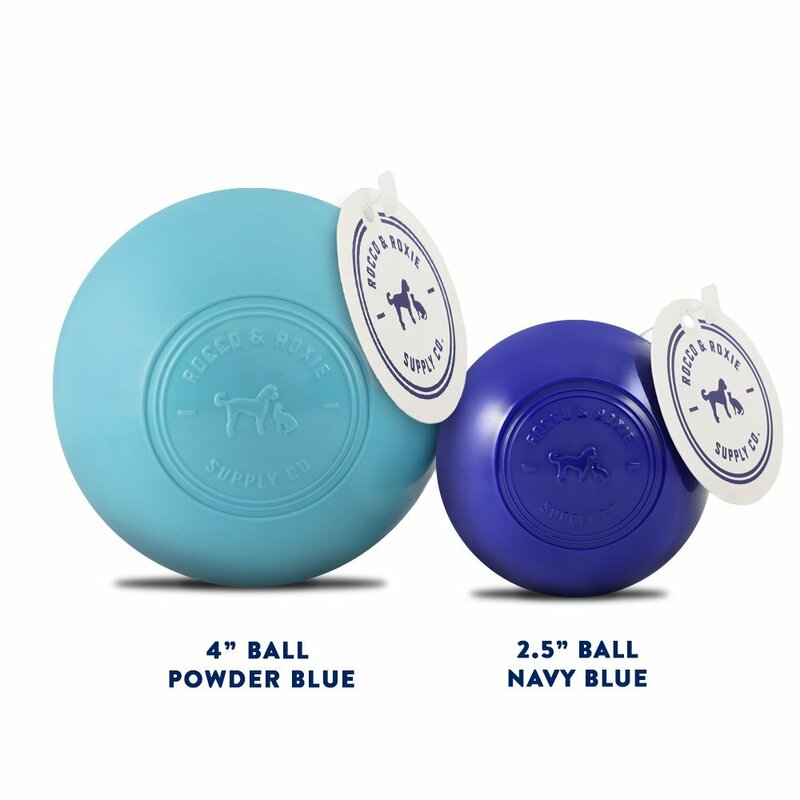 This super tough ball is tried and tested by the company owners’ very own dog, “Rocco”! It’s made of a non-toxic material that can withstand vigorous play both indoors and out. 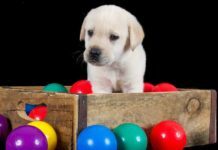 The balls are available in 2.5-inch and 4-inch sizes, but we recommend the larger size for a Labrador; a large dog could accidentally swallow the 2.5-inch ball. Order your Rocco & Roxie Supply Company Dog Toy Ball here. These multi-color balls are not only indestructible, but they’re also versatile! 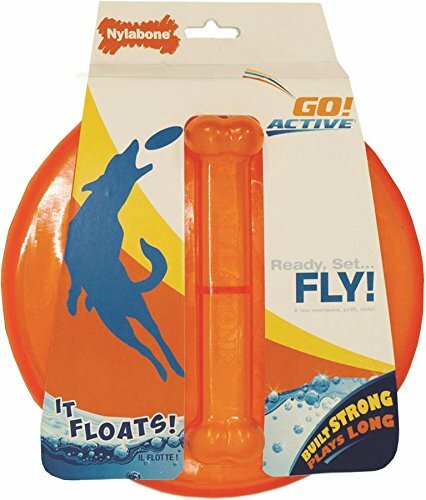 Made of heavy-duty rubber and roughly the size of a tennis ball, they are great for being launched, games of fetch, or for simply being enjoyed by your pooch. Available in packs of three. Order your Snug Rubber Dog Ball here. 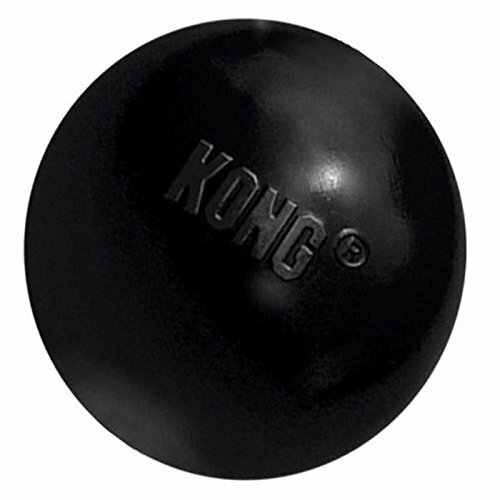 “Indestructible ball for dogs” is synonymous with the KONG ball. The Rubber Ball Extreme is the ideal ball for large dogs, as it’s made of the most durable and puncture-proof rubber on the market. These balls are 3 inches in diameter and will bounce for days! Order your Kong Rubber Ball Extreme here. 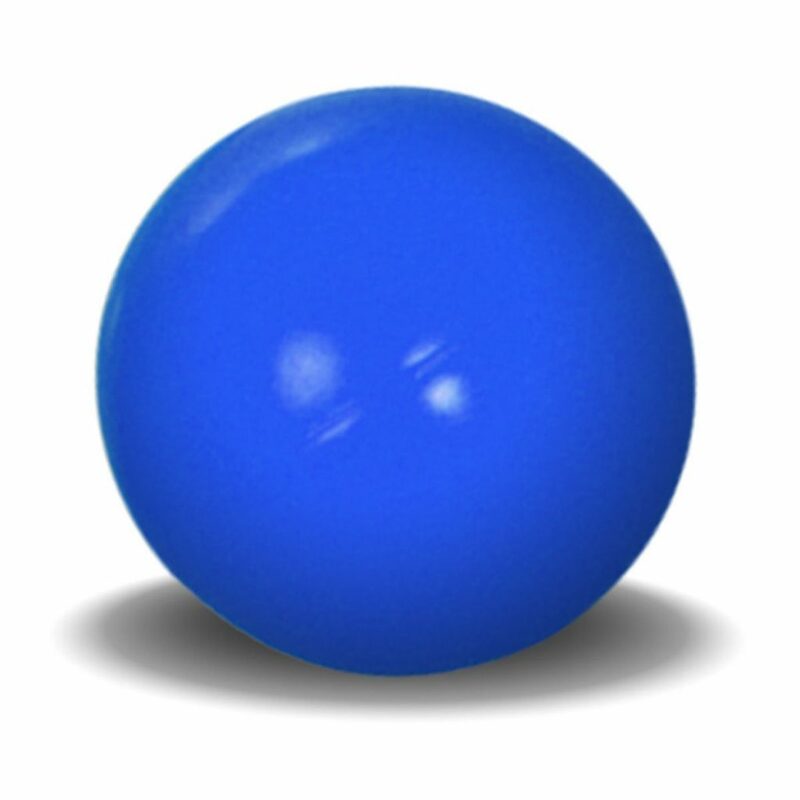 As the name of this product suggests, this ball is virtually indestructible! It’s made of a very hard, heavy, and non-toxic polyethylene plastic. While it doesn’t bounce, it IS perfect for chasing and chewing! These balls are available in wide variety of sizes ranging from 4.5 inches to 14 inches. Order your Hueter Toledo Virtually Indestructible Ball here. This 4.5-inch ball is both indestructible and stuffable! As your dog gnaws on the ball, the goodies that were placed in the ball will dispense. Additionally, the textured shell will help clean your dog’s teeth as she plays. If you’re looking for a ball that does it all, this one is for you! Order your Treat Dispensing Smart Interactive Dog Ball here. We’d be remiss if we didn’t include chew toys on a list of indestructible dog toys! 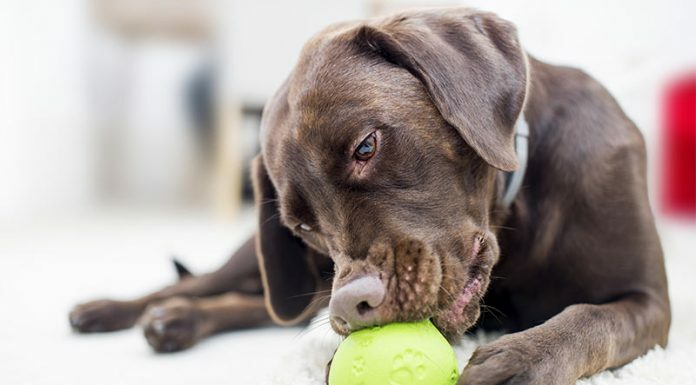 When shopping for an indestructible chew toy, your best bet is to find one that is made of a durable material that your Lab can’t easily tear up. Fortunately, there are lots of chew toys available that won’t come apart as easily. Here are some of the best indestructible chew toys that Amazon has to offer. This veterinarian-recommended toy is guaranteed to provide hours of chewing entertainment! Available in smooth or textured, the ring is made of nylon, which is one of the most “chewable” materials around! The bristles on the textured ring also clean your dog’s teeth. Order your Nylabone Giant Dog Chew Bone here. 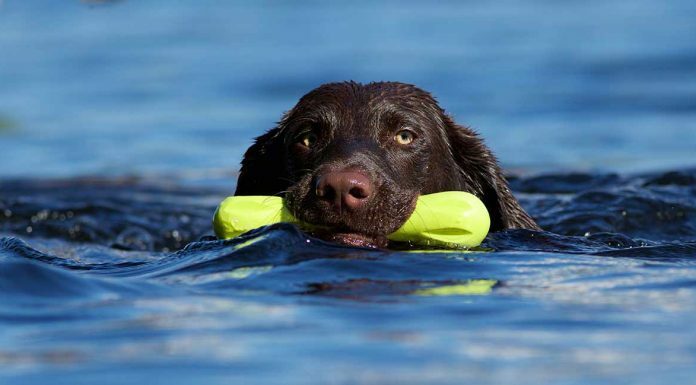 Here’s a chew toy that doubles as a water or fetching toy – a Labrador’s dream come true! 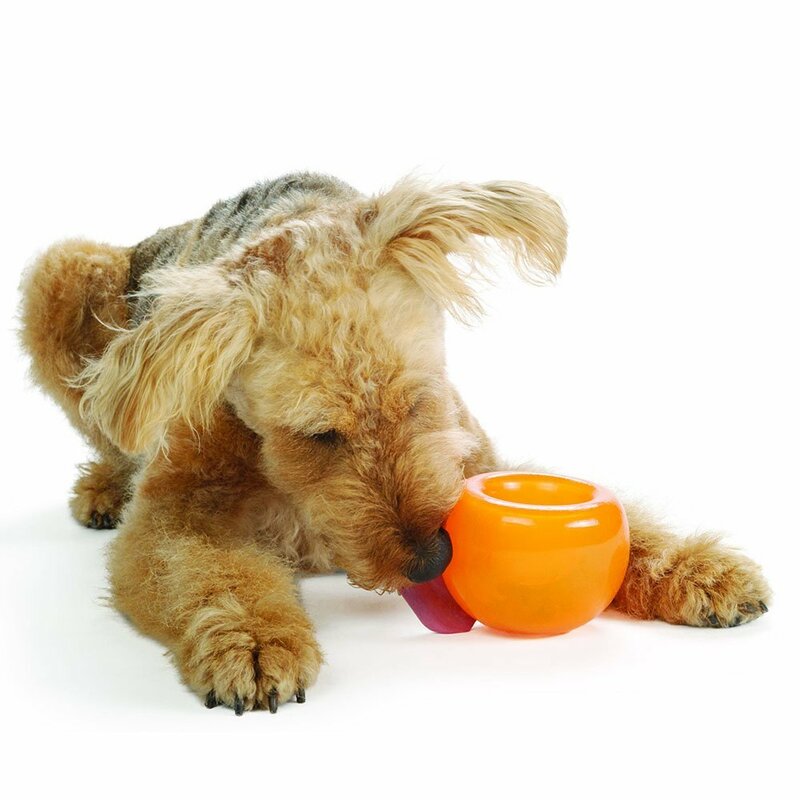 The bone-shaped toy is made of a food-safe material that your dog can chew for hours on end. It can even be washed in the dishwasher! We recommend purchasing the large size to accommodate a Lab’s large mouth. Order your Zogoflex Hurley Dog Bone Chew here. If you’re looking for a supersized chew toy, look no further! Over 2 inches wide and almost a foot in length, this chewing stick was made for a big dog with a big case of the “chewies”! It even floats, which makes it extra suitable for a water dog. If your dog manages to chew through the outer layer to expose the red “safety” layer, Goughnuts will replace your toy. 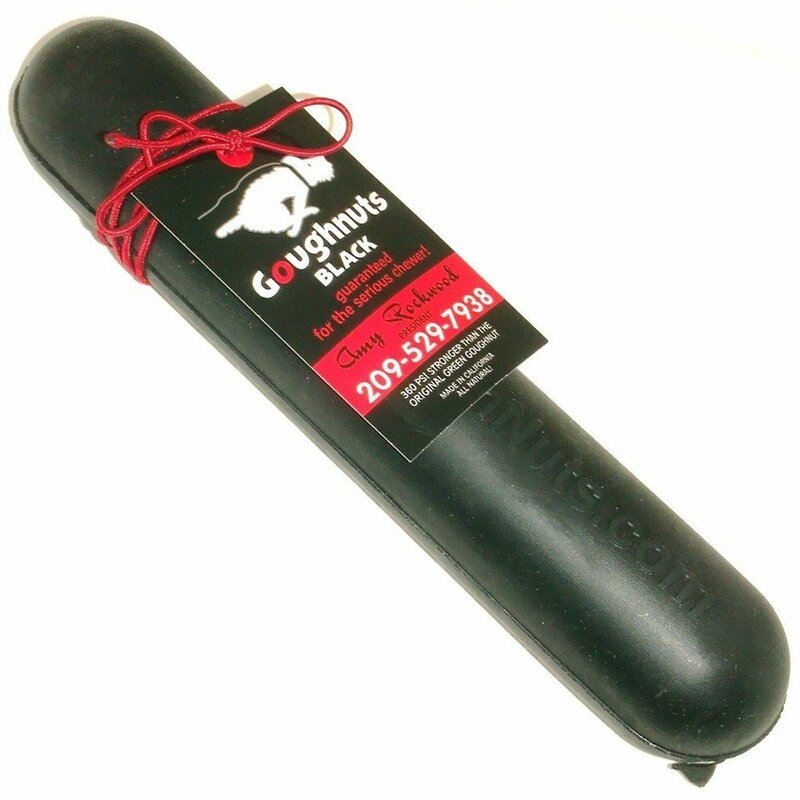 Order your Goughnuts Indestructible Chew Toy here. Like the Goughnuts MAXX Stick, this floatable ring will keep an aggressive chewer satisfied. This ring, in particular, makes a great teething ring for puppies! And like all other Goughnuts toys, if your dog somehow manages to chew through the tough outer layer, Goughnuts will replace the toy at shipping cost. Order your Goughnurts Original Chew Ring here. Indestructible dog squeaky toys should be in every Labrador’s toy basket! 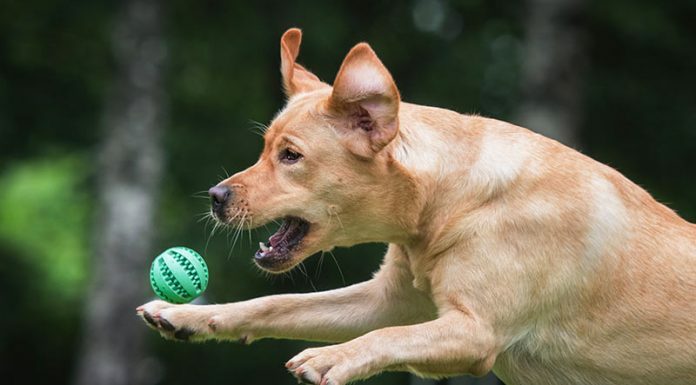 Many dogs love the sound that a squeaky toy makes, but unfortunately, their love of the squeak may cause them to ferociously tear a squeaky toy apart in pursuit of the squeaker. However, there is hope for Labs that love a good squeaky toy! Amazon has a plethora of hardy squeaky toys that are nearly impossible for an aggressive chewer to rip apart. Here’s a ball, squeaky toy, and tumbler toy all in one! 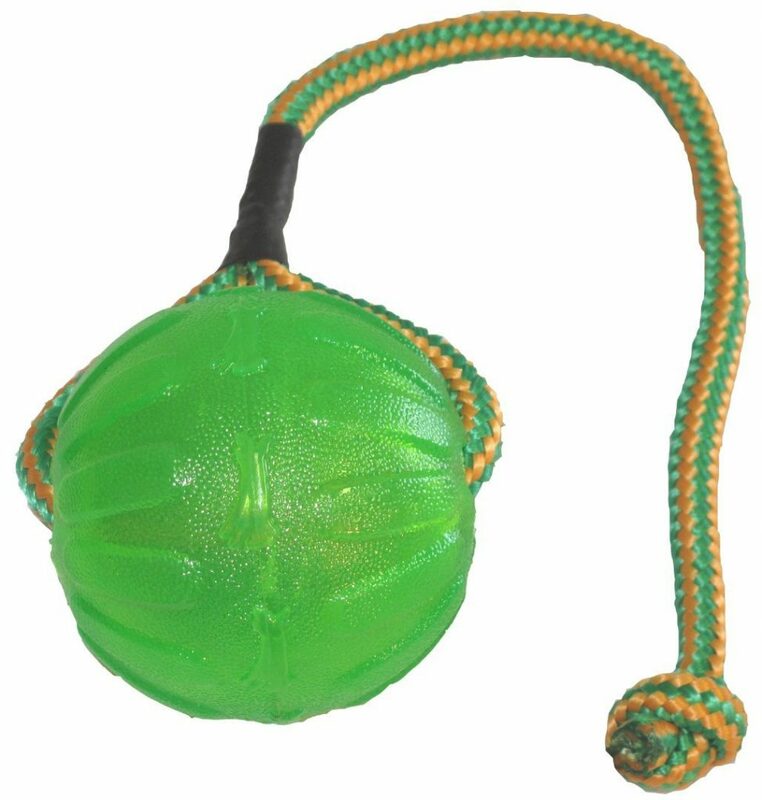 With handles for your pooch to shake it, an interior tennis ball tumbler, AND a squeaker, this toy will provide hours of play for your large “rough and tumble” dog. Available in medium/large and large/extra large sizes. Order your Kong Jumbler Ball Toy here. This lightly stuffed chew toy with squeaker is double-stitched for extra strength and is made with “Chew Guard” liner. 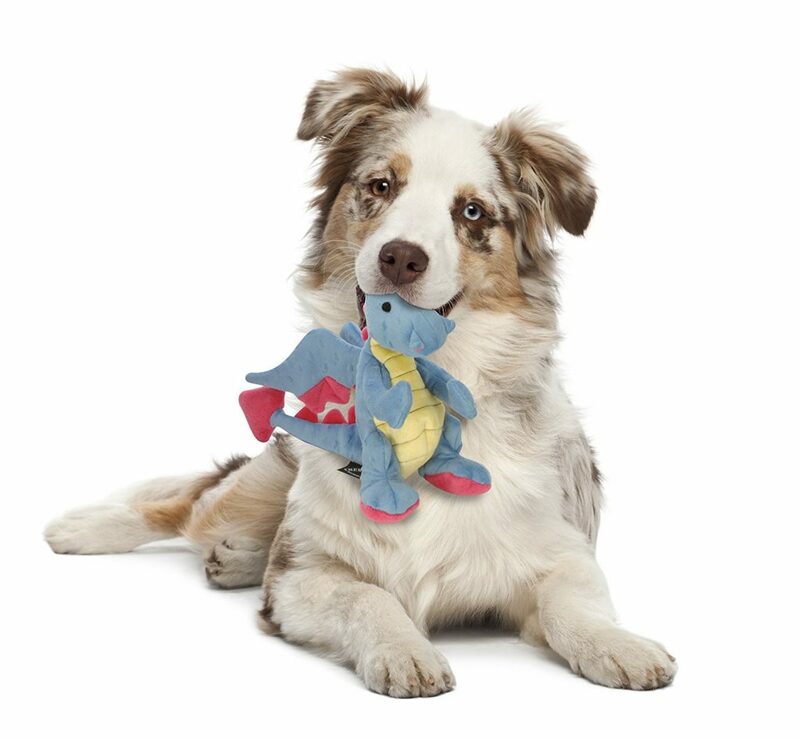 This combination makes it the ultimate soft chew toy for dogs that typically destroy plush toys. We recommend purchasing the large-sized dragon. Order your goDog Dragon with Chew Guard Technology here. 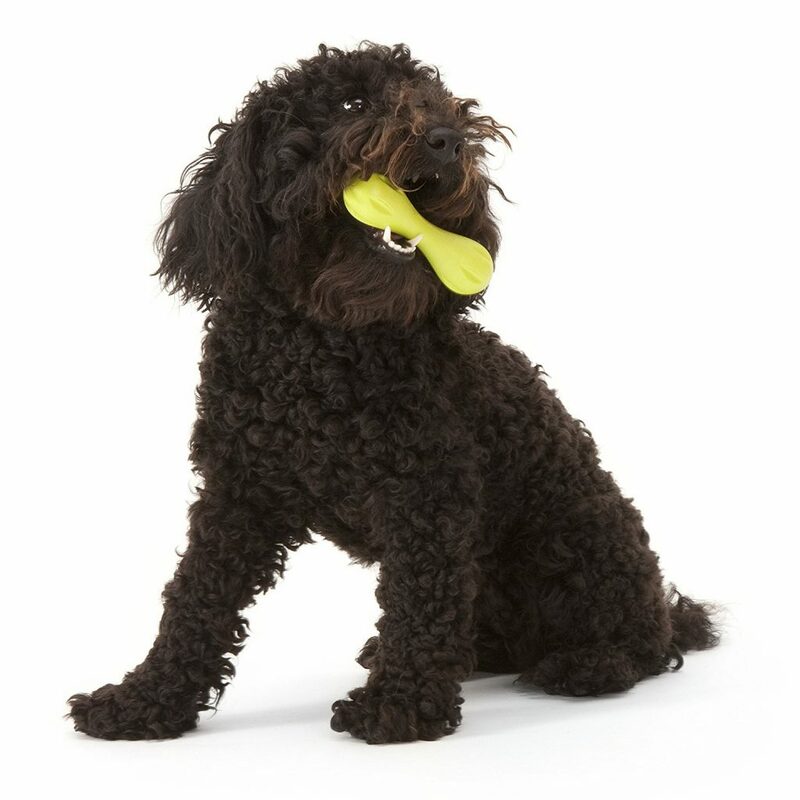 This popular squeaky toy is a favorite among dogs for a reason! Each toy’s multiple squeakers will keep squeaking even if the soft part of the toy is punctured. Additionally, understuffing the toy, combined with stronger binding, prevents it from being torn to shreds as easily as other squeaky toys. Order your Outward Hound Invincibles Plush Toy here. 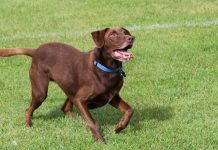 While you may feed your Labrador rawhide bones as treats or to give him something to chew on, it’s not always a good idea to use food to stop inappropriate chewing. 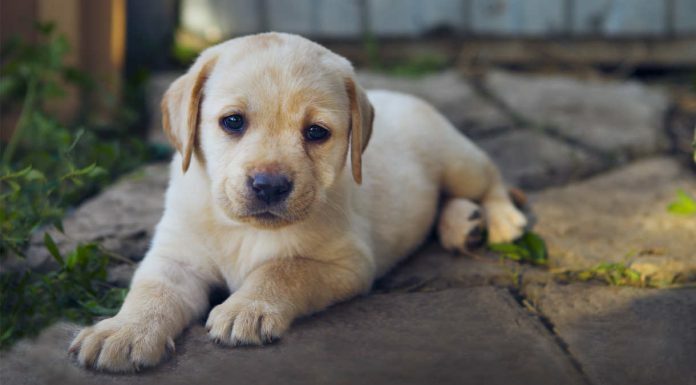 Since Labs can easily become overweight, you might actually be contributing to your dog’s “pudginess” by feeding him too many extra calories. But, fear not! You can actually give your dog a bone that’s not actually a bone! Here are some indestructible dog bone toys that closely resemble their edible counterparts. This turkey leg-lookalike toy is made of hardy nylon, of which your 50+ pound dog should be unable to permeate. As the dog chews, bristles on the toy raise to promote good dental hygiene. Also available in chicken leg and knotted styles. 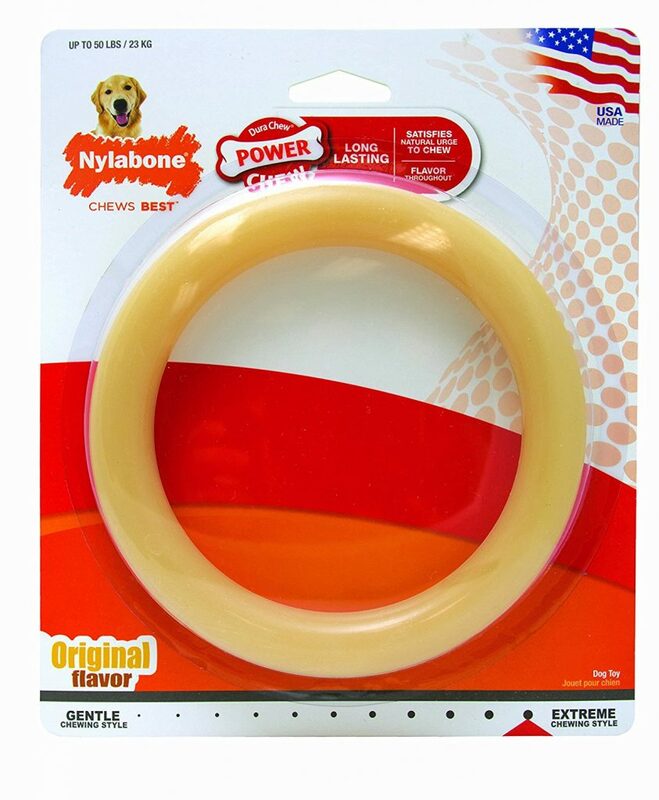 Order your Nylabone Big Chew Bone here. Another good choice from Nylabone, this dog bone toy features a twisted design and real bacon flavor! It also features the unique bristles that clean your dog’s teeth and gums. We recommend purchasing the Souper/X-Large size toy for your Labrador’s safe chewing. Order your Nylabone DuraChew here. 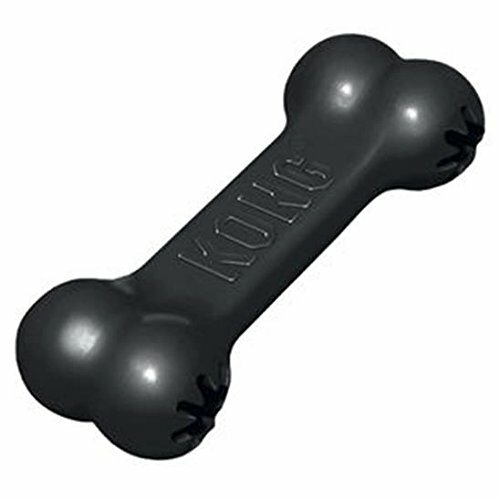 Made of KONG’s signature Extreme black rubber, the Extreme Black Goodie Bone makes a great choice for dogs who are hard on toys. You can even stuff your Lab’s favorite snacks or treat paste into the bone for additional chewing entertainment! Available in medium and large sizes as well as two-packs. Order your Kong Extreme Goodie Bone here. 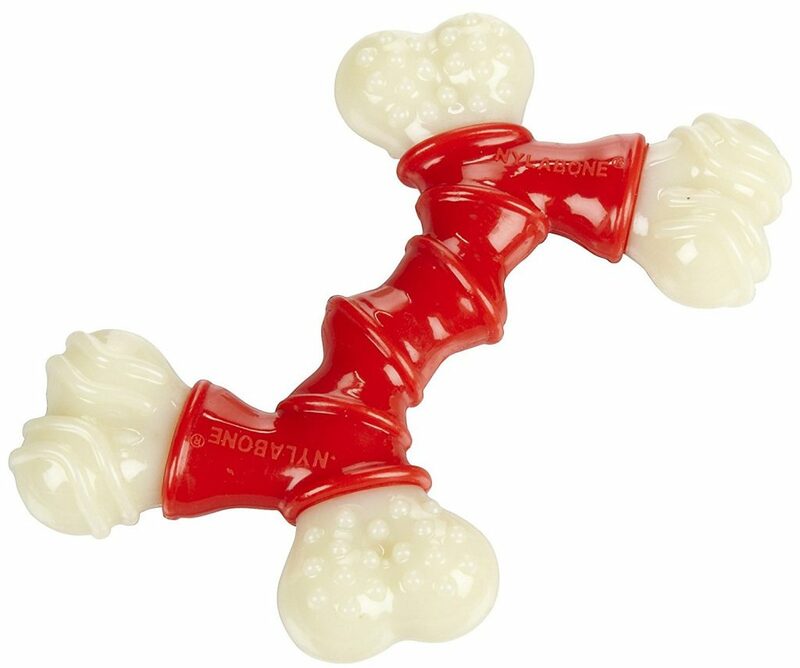 This 12-inch bone toy is made of heavy thermoplastic rubber, just perfect for the hardest of hard chewers! Although it’s heavy, it can still bounce and float, AND it’s stuffable! The unique “S” shape helps to keep your Lab entertained for hours. 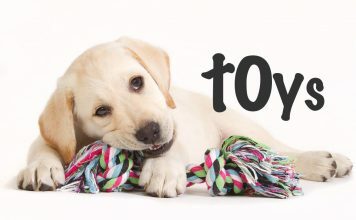 Order your Ethical Pets Play Bone here. Every dog deserves a plush chew toy, even destructive chewers! The trick is to purchase the right type of plush toy so that your aggressive chewer won’t destroy it. Here are several plush dog toys made specifically for dogs who make it their mission to shred standard plush toys. Although they aren’t indestructible in the same sense as the products above, they are more durable than your usual plush dog toys. 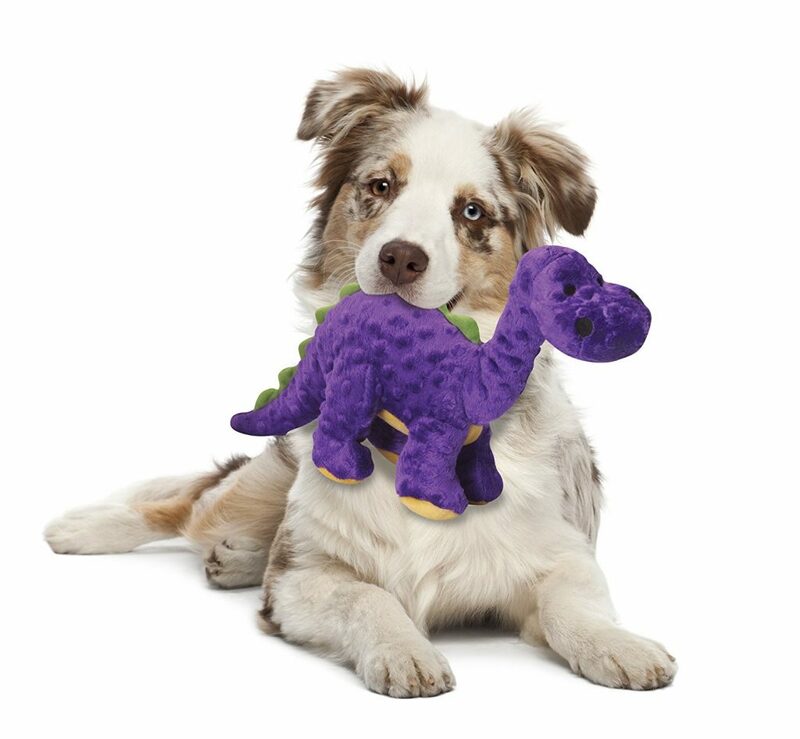 goDog Dinos with Chew Guard Technology. Meet the “Dinos” by goDog! These lightly stuffed, bubble plush toys are double-stitched and finished with a “Chew Guard” liner, making them strong enough for your Lab’s wear and tear. If your pup destroys the toy in less than or the same amount of time that it takes to destroy a standard plush toy, goDog will send you a one-time replacement. Select from cute dinosaur options like T-Rex, Stegosaurus, and Triceratops! Order your goDog Dinos here. Like the “Dinos”, the Checkers plush toys are double-stitched and finished with a “Chew Guard” liner. They even have a squeaker, grunter, and “crinkle” Mylar! As with all of goDog’s guaranteed toys, they will send you a one-time replacement if the toy has less of a life than a standard plush toy. Choose one (or a few) of the large-sized options: brown or white rooster, donkey, elephant, kangaroo, or pig. Order your goDog Checkers here. 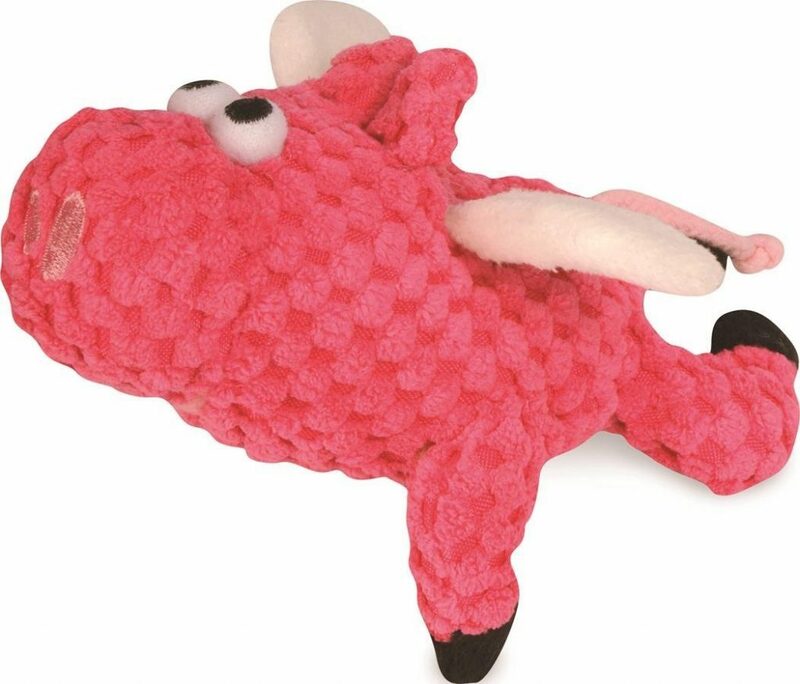 This grunting “Crazy Tugs” line of plush dog toys feature double-stitching and a “Chew Guard” liner. What sets them apart from other plush toys are their “tuggability”. Each toy has arms and legs that can be pulled through the center of the toy. As with all of goDog’s guaranteed toys, they will send you a one-time replacement if the toy does not meet or exceed the life of a standard plush toy. Select from the large-sized monkey or Sasquatch. Order your goDog Crazy Tugs here. These googly-eyed “Furballz” maybe cute, but they’re much tougher than they look with the brand’s classic double-stitching and “Chew Guard” liner. 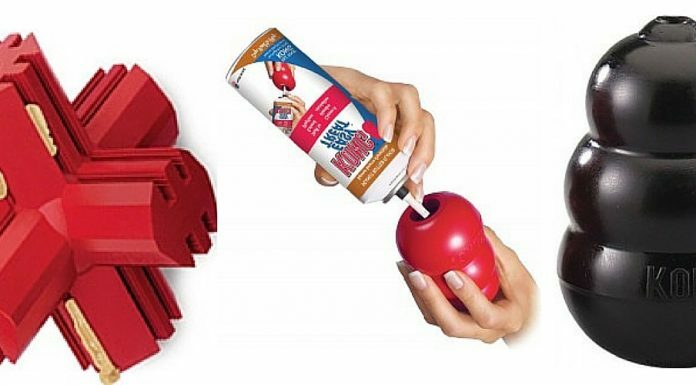 Your pup will also enjoy the loud squeaker! As with all of goDog’s guaranteed toys, they will send you a one-time replacement if the toy does not meet or exceed the life of a standard plush toy. We suggest purchasing a large-sized toy. Order your goDog Furballz here. 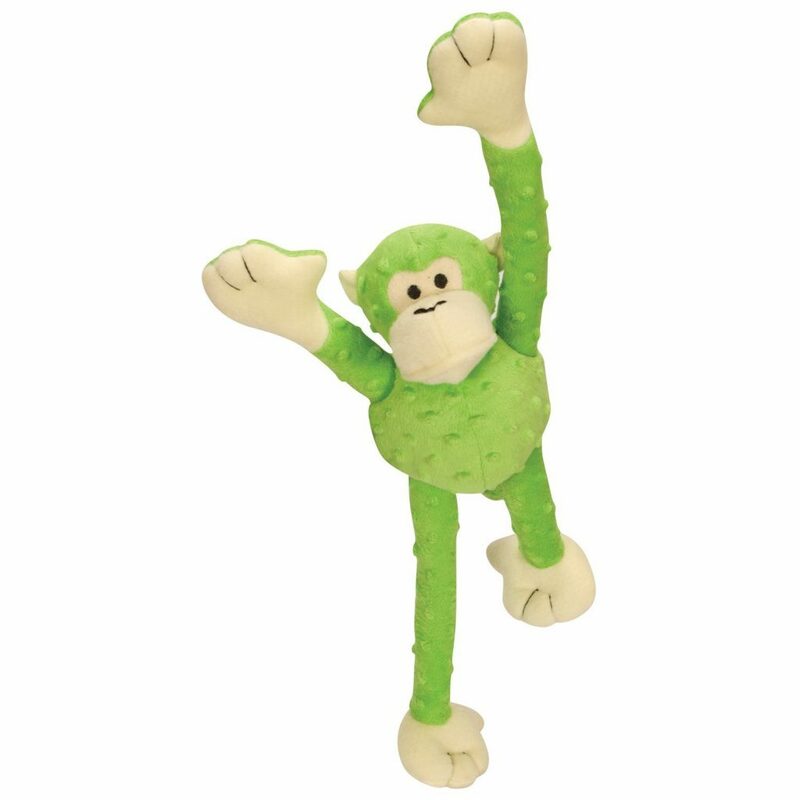 You know how to make a toy even more entertaining for your favorite four-legged friend? Stuff the toy with food! 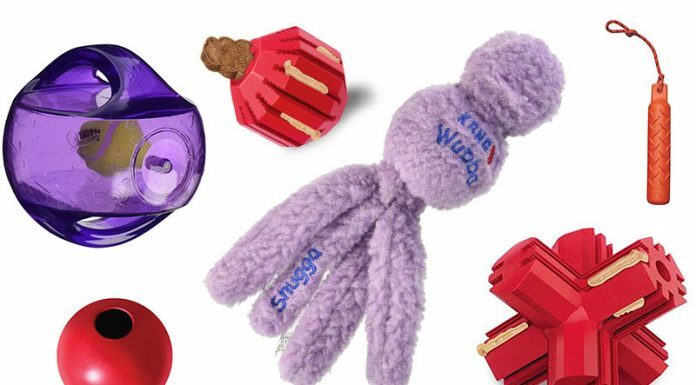 Stuffable toys can increase the time that your dog spends occupied with their toy, since they have to work pretty hard to get the food out of the dispenser. 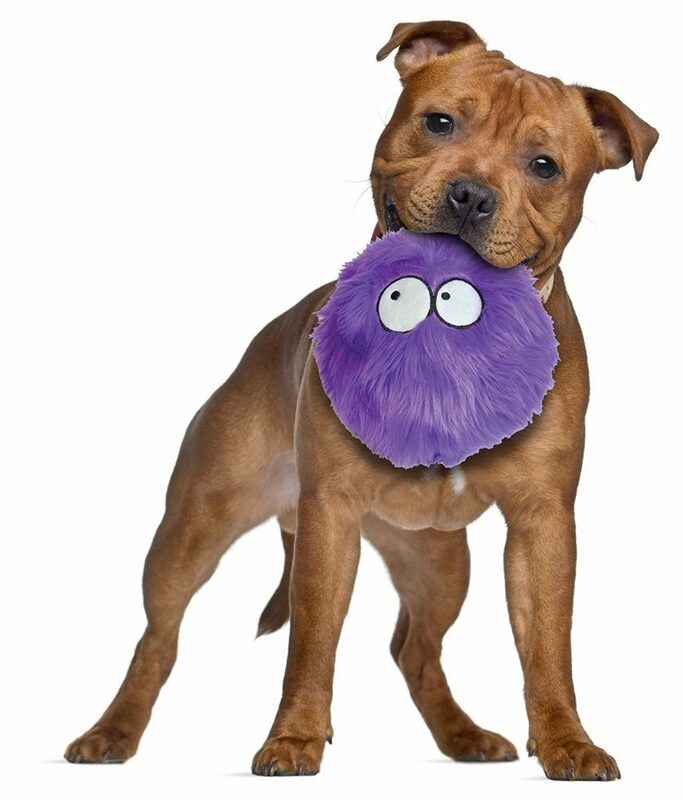 Here are a few of Amazon’s top contenders for indestructible stuffable dog toys. If you’re seeking a Lab-proof stuffable chew toy, the Tux toy by West Paw Design is great! Made of recyclable, non-toxic, and freeze-safe materials, the Tux features a hollow center for stuffing treats and an aerodynamic design that makes it perfect for chewing, tossing, and even water play (when it’s empty)! The toy is 100% guaranteed to last by the manufacturer. Available in tangerine, aqua, “Granny Smith”, or black. Order your Zogoflex Tux Tough Treat here. This toy is another option from KONG’s Extreme line. Made of durable black rubber, the Traxx Extreme dog toy features a tire structure with a hollowed center for filling. The “tread” of the tire bends and flexes for an engaging chewing session! We suggest that you purchase the medium/large size for dogs that weigh up to 65 pounds. The “Most indestructible dog toy” award goes to the KONG Extreme! The smooth, stuffable, and bouncy toy is ideal for Labradors, German Shepherds, and other large dogs that are compulsive chewers due to anxiety, boredom, or a love of chewing. 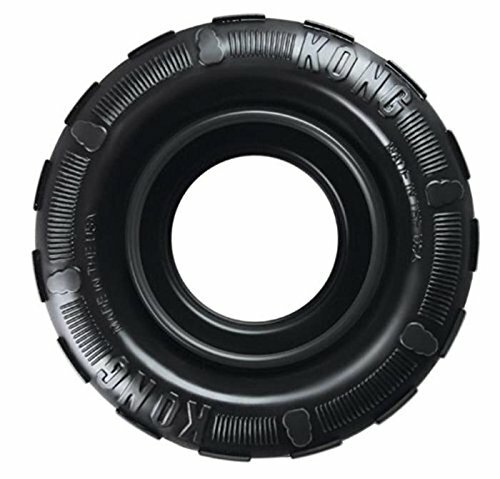 As the toughest toy that KONG has to offer, it is made of a black rubber compound that’s nearly impossible to puncture. We advise that you purchase the Large size or bigger for a Lab. Order your Kong Extreme Dog Toy here. 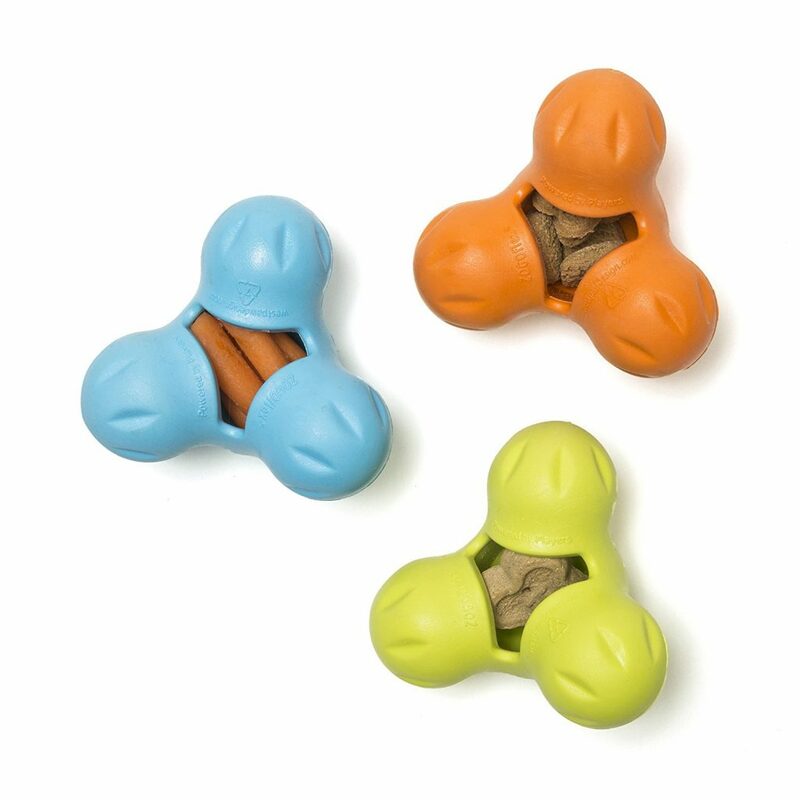 The “Snoop” is a 5-inch bowl-shaped toy made of a translucent, recyclable, and non-toxic material that lets your dog see and smell the treats hidden in a soft pouch. You can even put another toy inside the hollow space to increase the challenge! Planet Dog guarantees the toy, or you’ll get your money back. Order your Planet Dog Orbee-Tuff here. It’s a ball, treat dispenser, and a dental hygiene station for your dog! 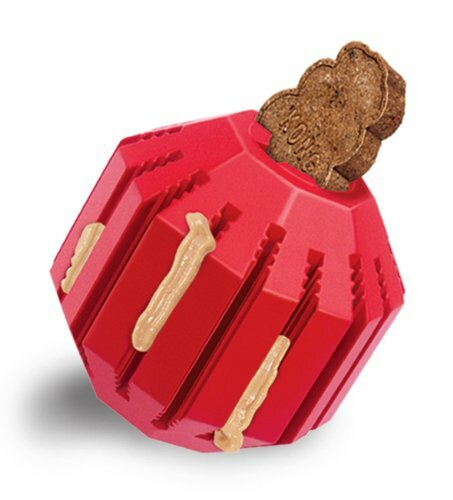 The Stuff-A-Ball toy features ridges that gently clean the dog’s teeth and gums, and center ports or crevices for wedging treats, treat paste, or even doggie toothpaste. When the toy is empty, its nifty design makes it bounce in all kinds of crazy ways! We recommend the Large size for a Labrador. Order your Kong Stuff A Ball Dog Toy here. It’s a well-known fact that many dogs love running after Frisbees. Unfortunately, after a few tosses, a Frisbee might be a little worse for wear when there’s a Labrador at the receiving end. Therefore, you’ll want to buy a good quality flyer that will handle your Lab’s big bite and hard chews. Here are some excellent choices from Amazon. Here’s a flyer that can soar across the sky but can withstand a dog’s mouth and teeth…and it’s not too hard on their gums! 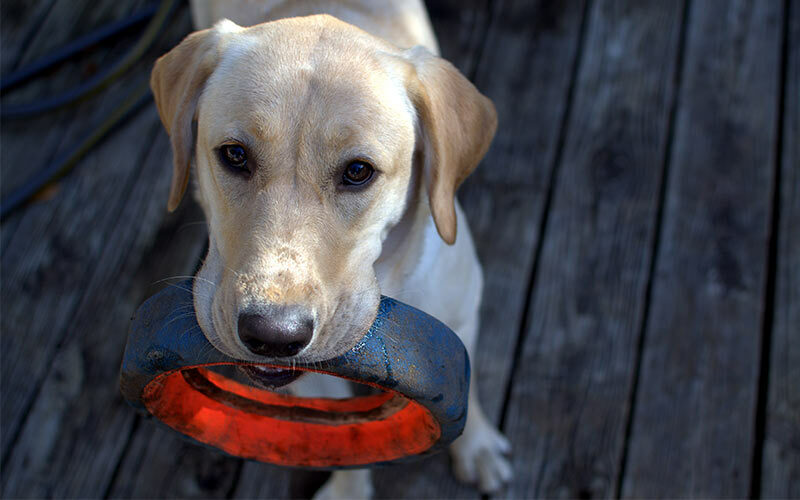 The KONG Flyer is a flexible disc that’s made of KONG’s signature tough rubber, but it’s soft enough that your Lab will want to play with it repeatedly! We suggest that you purchase the large size (9 inches in diameter) for dogs that weigh up to 85 pounds. 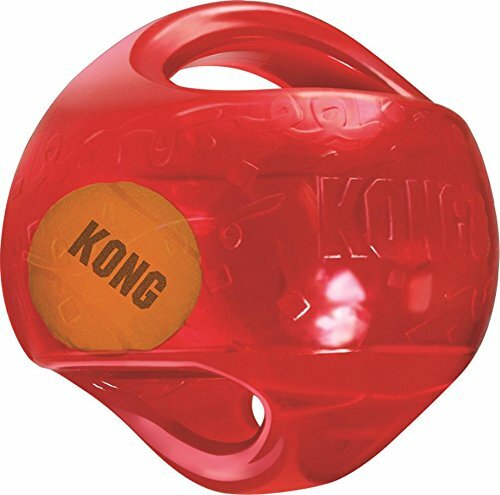 Order your Kong Flyer Dog Toy here. This veterinarian-recommended disc has a textured top that makes it super easy for your dog to grab it. Made of strong yet malleable material, it will fly with the best of them AND float, too! Get yourself and your dog moving with this flying disc today! Order your Go!Active Flying Disc here. This is one of the toughest discs on the market! 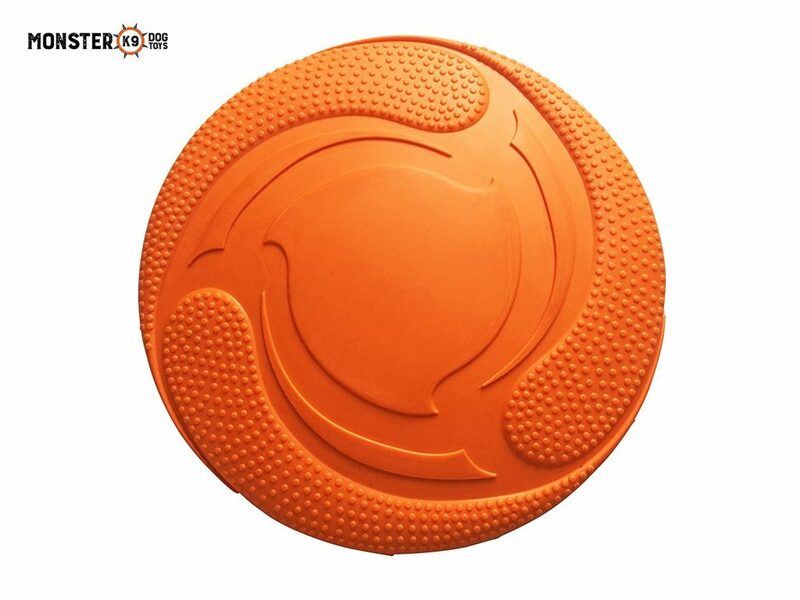 Made of 100% natural, safe yet industrial-grade rubber, the Frisbee is about as close to 100% indestructible is you can get! Its large size (9 inches) ensures that it will fly farther than any other flying disc. If your Lab tears up the toy, the manufacturer will replace it at no cost. Order your Monster K9 Dog Toy here. 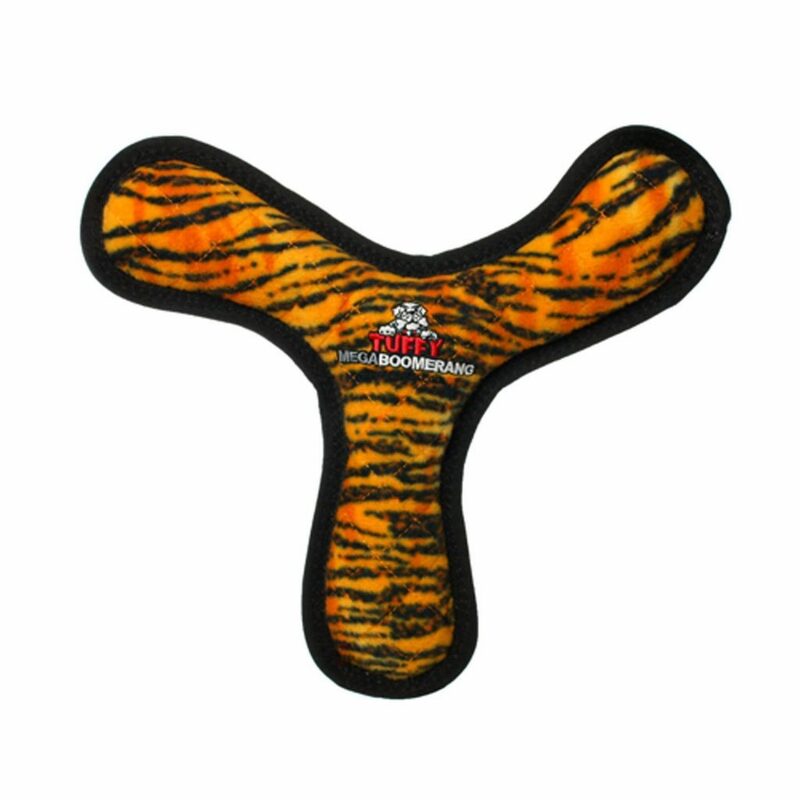 While this flyer isn’t your ordinary disc, its unique boomerang design makes it great for throwing, tossing, or tugging. The multiple layers of material (with squeakers in between) are bonded together into a single thick layer held together by multiple rows of stitches. This combination makes it hard for a dog’s teeth to penetrate the toy. Did we mention that this toy also floats? Order your Tuffy Mega Dog Toy here. Have you ever met a dog who doesn’t love tug-of-war? If you have a dog that’s pretty hard on their rope toys, you’ll want to invest in some stronger toys that won’t be easily shredded. Here are a few great ones that Amazon has to offer. 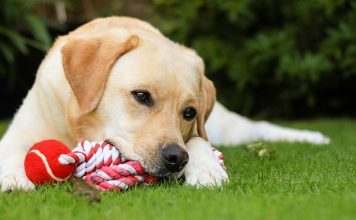 This 24-inch, 100% cotton rope toy was made for Labradors! With three knots, a loop handle, and two ends for your dog to chew on, the SatisPet Interactive Rope Tug is ideal for tug-of-war or fetch. The strong design will surely stand up to the “baddest” of chewers. Order your SatisPet Interactive Rope Tug here. This rope toy is made of reinforced nylon and finished with a tail on each end…sounds like a great reason to chew and shake! 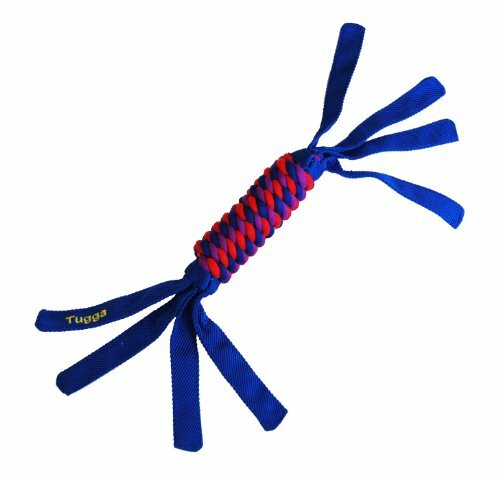 The Tugga Wubba is also a wonderful choice for tossing or tugging. We recommend that you purchase the Large or X-Large size for a Lab. Order your Kong Tugga Wubba Dog Toy here. 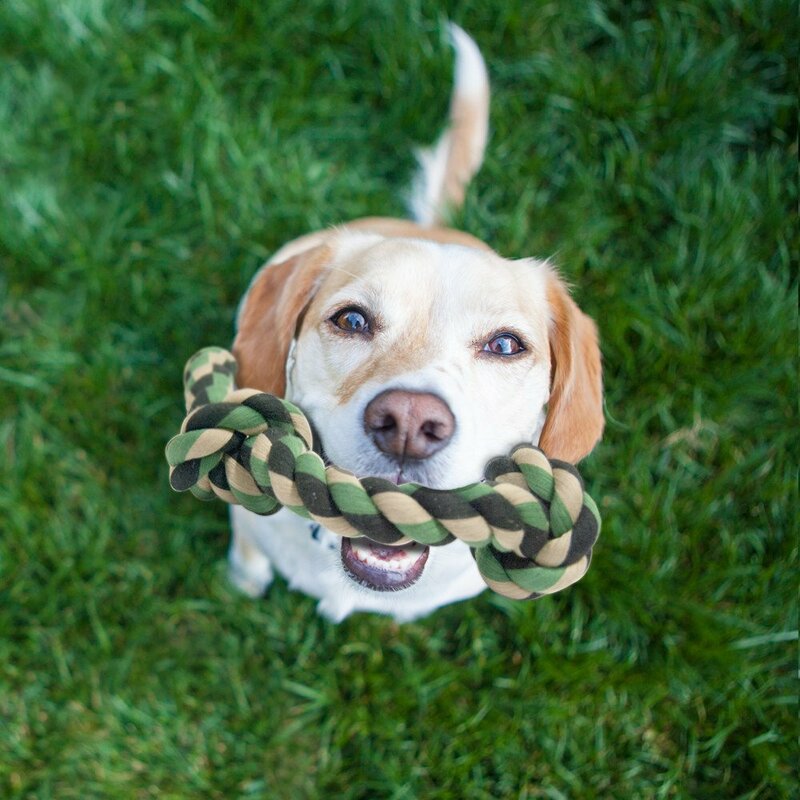 An all-natural two-piece dog rope that’s made for playing tug-of-war, this toy is ideal for dogs with the sharpest teeth and a love of shredding things. If you’re looking for a dog toy rope that won’t fray, give this one a try! Order your Tug Of War Dog Rope here. The Everlasting Fun Ball on a Rope is exactly what its name says it is – an indestructible ball looped into one end of a durable nylon rope. Let your dog toss, bounce, or even play in the water with it! The toy measures 12 inches from one end of the rope to the bottom of the ball. Order your StarMark Everlasting Indestructible Dog Toys here. 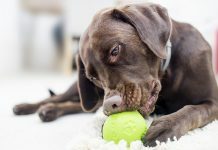 When purchasing a toy for a Labrador or any other aggressive chewer, it’s best to look for a truly indestructible dog toy. Fortunately, there are many manufacturers out there who make extremely durable dog balls, ropes, chew toys, plush toys, stuffable toys, and even flying discs! Since indestructible dog toys are made for all breeds, shapes, and sizes of dogs, we generally recommend that you look for indestructible toys that are made for large breeds. 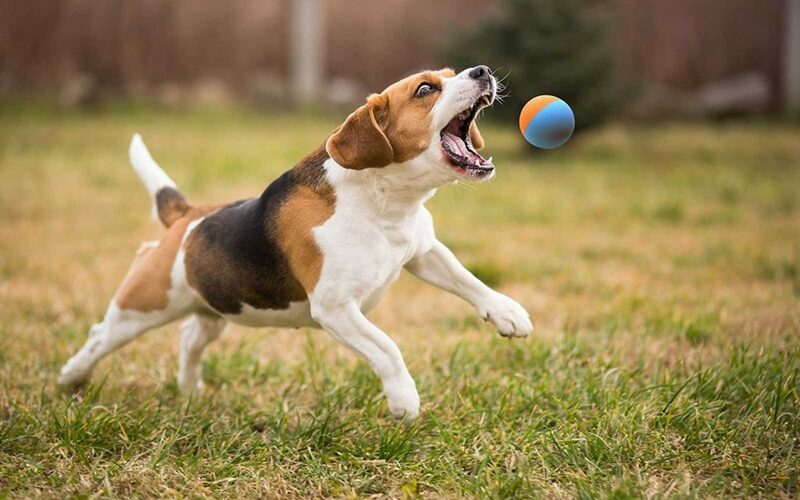 Toys that are meant for smaller dogs could pose a choking hazard to the big breeds with larger mouths. 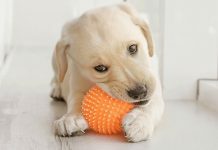 All of the indestructible toys that we mentioned in this article are meant for Labrador-sized pooches or have multiple sizes available. Previous articleCan Dogs Eat Pickles? I live in Pakistan so we don’t get many toys. Only tried the KONG Extreme original and that is the only toy that has lasted my 1 year old more than 2 days. We have had it for about six months now and she is still using it with no marks. We tried the original KONG too but that only lasted a day. Kong Jumbler Ball actually says on label ‘For light chewing only’ so beware. Time will tell I guess. Our lab is a destroyer. But, Nylabone is great with observations. The Gohnut is by far the best and seems to be able to take any amount of pulling or chewing. 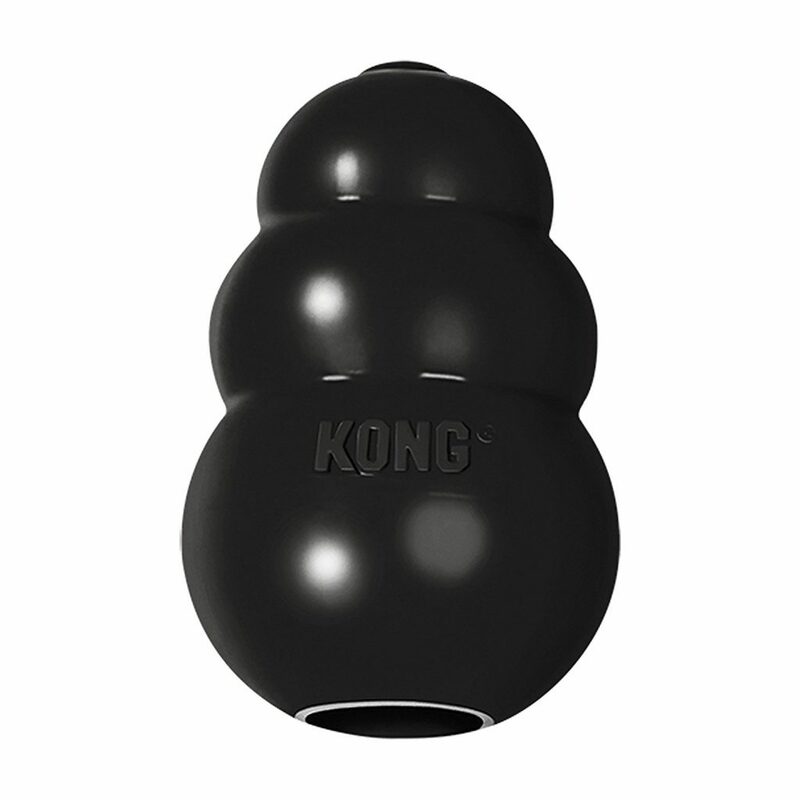 Kongs are great as well. Great list of options though my 7 month old lab has chewed through a toy of every variety mentioned….the only variable having been the length of time it has taken her. 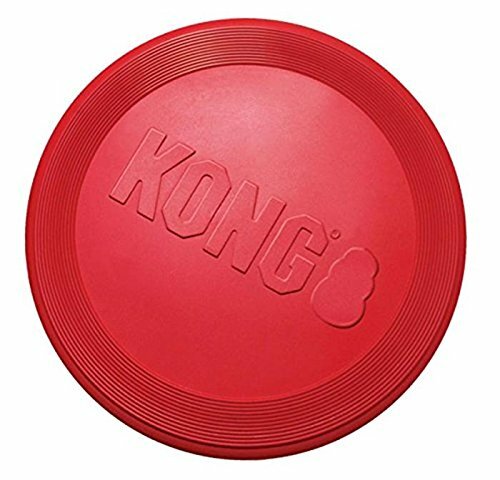 The Kong flying disc lasted longest at 8 weeks, all the others lasted minutes or days.